Dr. Nadia Awad is an emergency medicine pharmacist at Robert Wood Johnson University Hospital in New Brunswick, NJ. 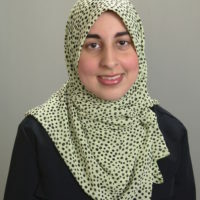 After obtaining her Bachelor of Arts degree in Biological Sciences from Rutgers College in 2007, and earning her Doctor of Pharmacy degree from the Ernest Mario School of Pharmacy at Rutgers University in 2011, she completed two years of post-graduate residency training at Robert Wood Johnson University Hospital, specializing in emergency medicine pharmacy. She is board certified in pharmacotherapy. In addition, she is the associate editor and staff blogger of the blog, Emergency Medicine PharmD (http://empharmd.blogspot.com), and she has authored over 70 educational entries related to the application of pharmacotherapy in the emergency department.